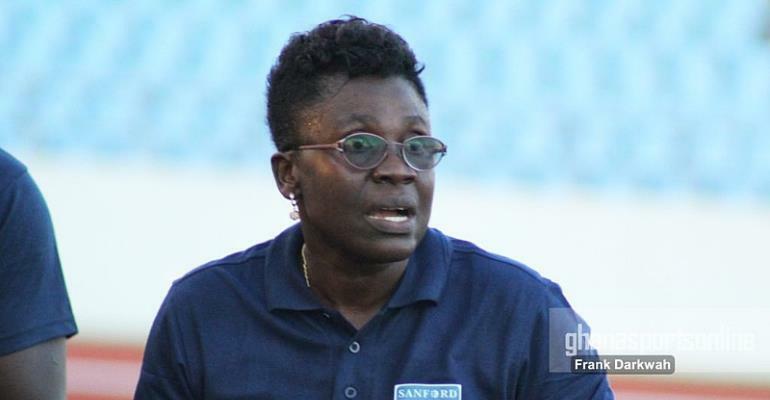 Interim coach of the Black Queens Mercy Tagoe has reiterated her satisfaction after guiding the team to lift the maiden WAFU Zone B Nations Cup. A first-half strike by Jane Egyir was all the Queens needed to beat host nation Ivory Coast as they won their second major trophy. And Tagoe, who many doubted to do the job, says it was dream come true for her and expatiated on why she shed tears after the final whistle. 'I am very happy I have been able to win this title with the Black Queens. When I played for the Black Queens we were not able to win any trophy and I am glad I have been able to win one as a coach." The former Ghana international was appointed assistant deputy coach to former Head coach Didi Dramani who resigned from his position to take a job in Denmark. She made history by becoming the first ever Ghanaian female Coach to win a trophy. The 44-year-old had previously made history as the first Ghanaian female referee to officiate at the FIFA Women's World Cup in 2007. She was also part of the history-making Black Queens squad that qualified for their first ever FIFA World Cup in 1999.